Our next meeting will be on Tuesday, 24th July, at the Horse and Jockey pub in Stanford-in-the-Vale. As usual, we will be playing shorter games from 7.30pm as people arrive, until 8pm when we will start something a little longer. 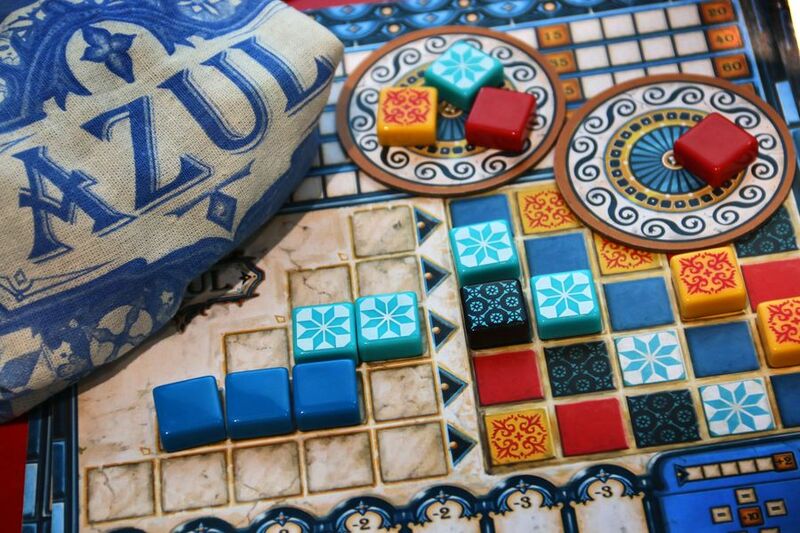 This week the “Feature Game” will be Azul, an abstract game, with a very, very loose theme where players are tile laying artists decorating a wall in the Palace of Evora with “azulejos”. We have chosen this game to celebrate the fact that it has just received the coveted Spiel des Jahres award. Jeff was visiting Buckingham Palace. After a tour of the house and grounds, the visit finished at the Royal Stables. As he wandered around he saw an elderly lady in a head-scarf and realised he was in royal company. He was standing quietly admiring a magnificent stallion when suddenly it passed wind so loudly it couldn’t be ignored. This entry was posted in Next Meeting on July 24, 2018 by nannyGOAT.